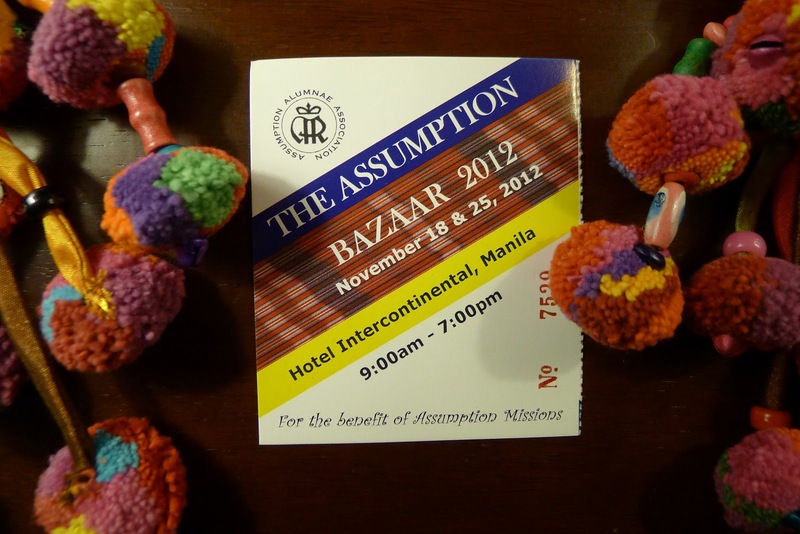 During the weekend that passed, my friends from Assumption, Bambi, Len and I went to The Assumption Bazaar at the Hotel Intercontinental Manila. I have to say, this is a different Bazaar, they sold products which are not normally found on other Christmas bazaars. There was a stall that sold Trader Joe's products, Accessories made by Cebu Artisans, A lot of unique hand-crafted Etsy-ish products, and other stuff. I bought this bright and colorful belt from a lady who sold stuff from her travels abroad (the belt I bought is from Nepal). I'm not using it as a belt though, but maybe as a backtie for my living room curtains or to hang over the knobs of my chest of drawers. I just love the brightness of it and the sounds that the small bells make. I also bought these hand-crafted accessories made of wood and leather from Cebu. 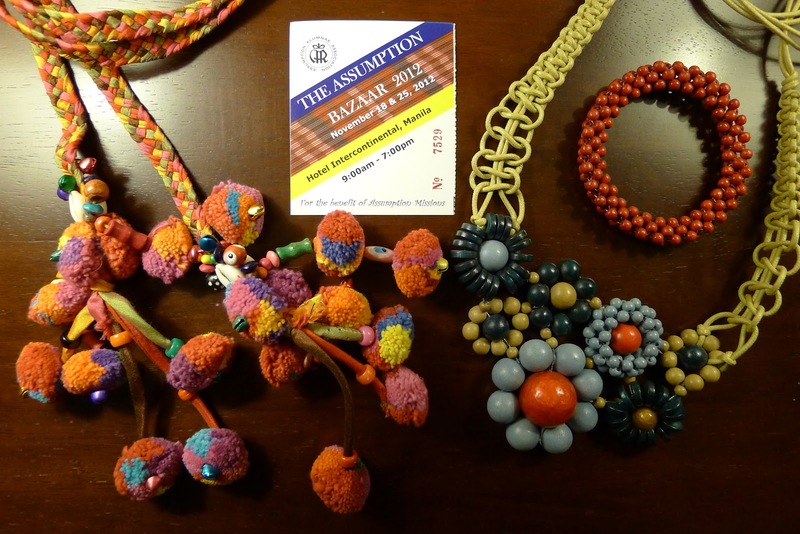 You can still catch the last Assumption Bazaar (for the year) this coming weekend, November 25 (Sunday) from 9:00 am to 7:00 pm at the Hotel Intercontinental, Manila.